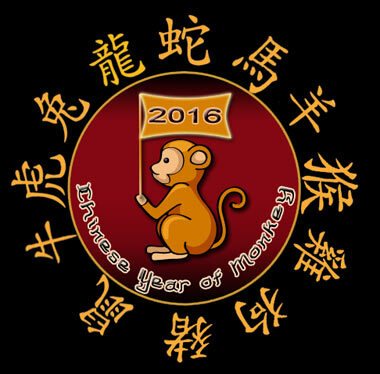 On February 8, 2016, the world welcomed the Year of the Red Monkey. Happy Chinese New Year to you! In Chinese tradition, every year is characterized by one of twelve animals. The year itself, as well as the people born in that year, are believed to share traits with that year’s representative animal. Born in 1920, 1932, 1944, 1956, 1968, 1980, 1992, or 2004? Then you were born under the Monkey, and 2016 is YOUR signature year! But even those who were born in a different year will be influenced by the Monkey in 2016. That means we’re all in luck—and in for a bit of a wild, but exciting ride! 2016 is the Year of the Monkey, or the Year of the Male Fire Monkey. That means that the Male (active, or Yang) characteristic blends with the Fire Element (associated with the color red), so we have a stimulating, fast-paced combination in store for us. Our motto for this Year of the Monkey: Fasten your seatbelts! People born in the Monkey year are thought of as smart, quick, and always ready to seize new opportunities as soon as they arise. Act fast whatever your birth year, because the person with the energetic, competitive Monkey in his or her personality will race to be the first to grab hold of a new idea or opportunity. Lively, entertaining, joyful, curious, and competitive, the quirky Monkey will be primed for action and adventure, ready to swing from branch to branch with ease. All of this spells unmatched opportunities available to every one of us to improve our health and wellbeing in the coming months. Here are some ideas for harnessing the Monkey’s best characteristics and avoiding pitfalls—making 2016 YOUR very best year. 1.If your feelings are easily hurt, remember to step back and maintain objectivity. 2.Keeping active will always be an important aspect of a healthy lifestyle. Frenetic activity or overly challenging programs, however, may not be the best plan for many people. Fitness regimes that are too intense, too long, too frequent in timing may lead to exhaustion, or worse, injury. Ensure that your plan is appropriate and realistic for your level of readiness. Also—especially in the frantic, demanding Monkey year that’s just begun—be sure to regularly schedule some time for yourself in a calm, soothing environment. Yoga, anyone? 3.If you’ve been too solitary or sedentary this winter, consider a change of scenery. In a rut? The Chinese New Year is a perfect time to begin making plans to travel and explore. Think beyond the usual ho-hum weekend away. Indulge your adventurous spirit by heading to a special destination you’ve been longing to visit. 4.Balance is the keyword for the Year of the Monkey. Think maybe it’s time to “go for it” in your career? Taking risks may often be the best course of action to move ahead, and it can be to your advantage to say “yes” to an opportunity that becomes clear in the coming months. Being fearless and unstoppable are fabulous qualities. Just be a little cautious. “Burning out” from fiery activity is the other side of the coin. Manage your energy and time carefully to withstand the onslaught of stress, pressure, and overwhelm that comes with taking this bold new step. 5.Don’t put your health on the back burner. Not now, and not ever. Consider the Chinese New Year to be the beginning of your new, long-term commitment to wellness and self-care. Take charge of your wellbeing by seeking out professionals, coaches, and other guides who can personalize options just for you. To schedule a private, complimentary 20-minute phone Breakthrough Session with me, click here. 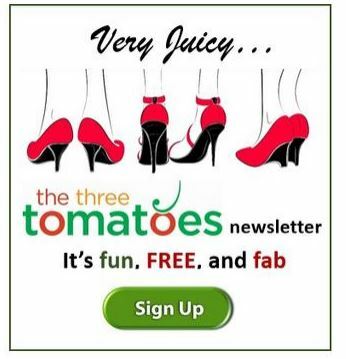 I’ll be delighted to jumpstart your journey toward fit, trim, confident living. Now’s a perfect time to recommit to the goals you set on January 1, or identify how to get back on track if you’re not where you thought you would be by now. Don’t give up. A tweak from the tips above may be just what you need to light the spark that launches your goals into reality. Happiness and success to you in this Chinese New Year. Cheers!